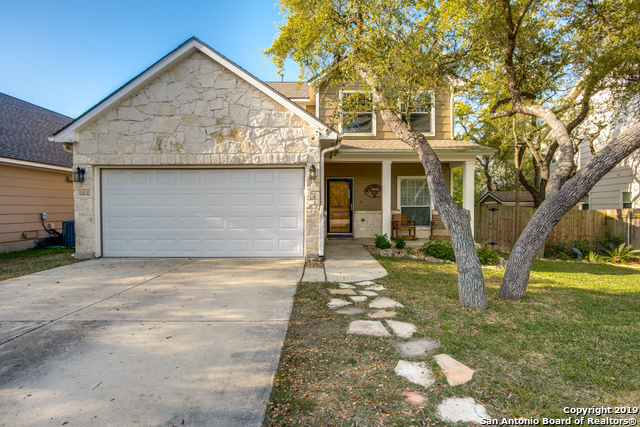 All TROPHY RIDGE homes currently listed for sale in San Antonio as of 04/18/2019 are shown below. You can change the search criteria at any time by pressing the 'Change Search' button below. "Gorgeous SIX bedroom home on cul de sac in PRISTINE condition! Bamboo flooring in all rooms and stained concrete in kitchen,GOURMET KITCHEN full of custom finishes including granite countertops, beautiful stone fireplace in living area, high ceilings, crown molding, master suite has private master bath with double vanity, spacious secondary bedrooms with bamboo flooring, jack and jill bathroom, walking distance to schools, shopping,LAFB, UTSA,USAA and Sea World." "This San Antonio home built in 2005 features a fireplace, a loft, an island kitchen with breakfast bar, and a two-car garage. Upgraded features include a new hot water heater. This home comes with a 30-day buyback guarantee. Terms and conditions apply. This home is actively under renovation and will be completed soon." "Priced to sell! Gorgeous 4 bedroom 3 full bath home. Living area features beautiful flooring and tile mixture. Open floor plan, remodel kitchen with an abundance of cabinet space and granite throughout. Oversized master bedroom and bathroom, with a large walk-in closet. All bathrooms have been remodeled. Huge backyard with mature trees located on a greenbelt. Easy access to Hwy 1604 and 151." 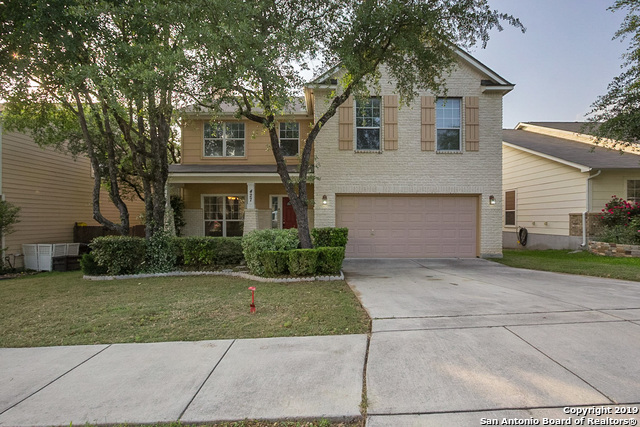 "Built in 2011, this San Antonio two-story offers stainless steel appliances and a two-car garage. This home comes with a 30-day buyback guarantee. Terms and conditions apply." "Clean, neat, well-maintained no-carpet home in Trophy Ridge. Convenient to Loop 1604 and Potranco. Great Northside schools! Study could be fourth bedroom. Home has new a/c, stove and microwave and new ceiling fans w/remotes. Crown molding in entry and living areas with 9-foot ceiling in living room. Master has spacious sitting area and built-in shelving. Deck to be freshly stained and bench added. Epoxy garage floor and great low-mainenance yard. Water softener and refrigerator not included but "
"Located in a desirable neighborhood with community pool, this beautiful, original owner residence is designed for comfortable living interior features an open floor plan with expansive windows, multiple living areas. 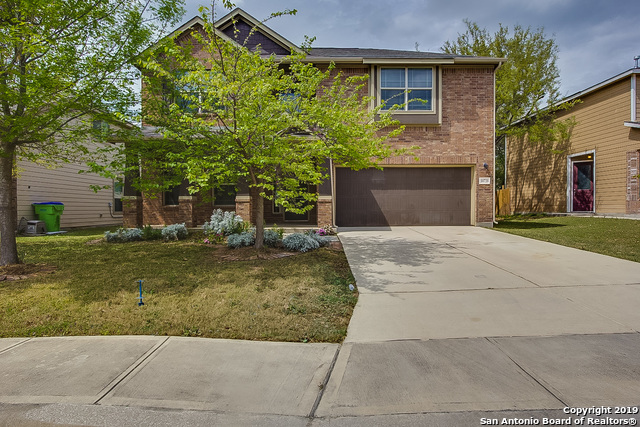 offers an abundance of light and space with large yard features a covered patio with mature trees for plenty of shade. Close proximity to Loops 1604, 410, and Hwy 151 provide quick commutes to all points SA. School is in walking distance & close to retails shopping & numerous resta"